5 - Description of Markings. a) All letters and numerals used in the marking of vehicles and equipment will be of the gothic style illustrated in figure 1. Thickness of the characters (stroke width) will be between 1/6 and 1/7 of their height. b) All markings will be of the maximum practical size to be seen at optimum distances unless specifically identified with this bulletin. c) Permanent markings will be applied in either the stencil and paint method or by means of pressure sensitive adhesive vinyl markings conforming to MIL-D-8634B. The same marking method will be used for adjacent markings, or for the same markings on other areas of the same vehicle or piece of equipment. Refer to TM 9-213 for application instructions. (1) Stencil and paint. 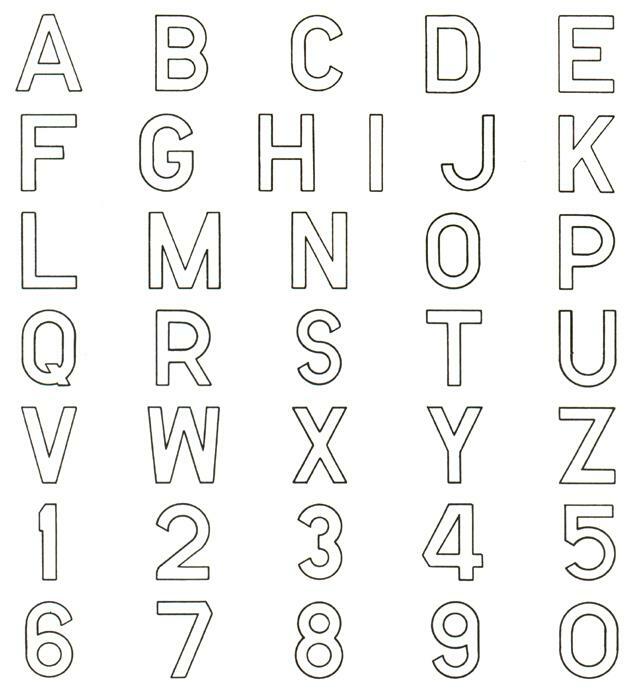 Paper stencils are available as individual letters, numerals, and legends of various sizes, and may be located by Federal stock number under FSC 7520, Federal Stock Catalogue C6-14-SL. (2) Pressure sensitive adhesive vinyl. Markings made of this material are available as die cut letters, numerals, and legends of various sizes, and maybe located by Federal stock number in SM 10-1-7600, FSC 7690.
d) Temporary markings will be applied with a gasoline soluble paint or removable vinyl markings, in accordance with instructions contained herein. (1) Lusterless white, Colour Chip No. 37875-for vehicles painted olive drab or other dark colour. (2) Gloss black, Colour Chip No. 17038 for vehicles painted yellow, white, or other light colour. 6 - Description of Colours. a) Refer to AR 7465, for colour requirements for specific usage's other than those listed herein. (1) Gloss red, Colour Chip No. 11136 on vehicles painted gloss or semi-gloss olive drab. (2) Lusterless red, Colour Chip No. 31136 on vehicles painted lusterless olive drab.